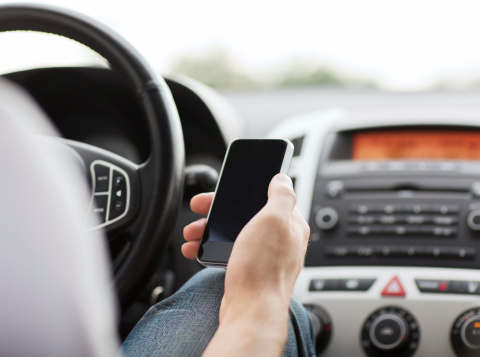 While the majority of U.S. drivers believe hands-free technology is safe when operating a vehicle, the American Automobile Association (AAA) released a report earlier this month that should give a lot of people a reason to reconsider that notion. Titled “Mental Workload of Common Voice-Based Vehicle Interactions across Six Different Vehicle Systems,” the report evaluated several voice control technologies to see which ones were the best at reducing distraction behind the wheel. Although some ranked better than others in the study, none of them was perfect when it came to helping drivers stay focused on the road, according to AAA. A team of researchers put 18 men and 18 women behind the wheel of six cars that were equipped with voice-activated control technology. The subjects performed several tasks while navigating a driving course. Cameras were trained on the drivers, and their heart rate and brain activity were measured. In addition, a researcher was in the passenger’s seat to evaluate the drivers’ reactions. Afterward, each driver was asked to fill out a questionnaire. The six systems tested were Entune from Toyota, MyLink from Chevrolet, Hyundai’s Blue Link, Chrysler’s Uconnect, Ford’s SYNC with MyFord Touch and COMAND from Mercedes-Benz. Test subjects were also placed in a driving simulator and asked to send text messages, post Facebook updates and modify their calendars using a phone equipped with Apple’s Siri voice-command technology. The systems were graded on a five-point scale to gauge the mental strain of using them to perform different tasks. The lower the score, the smaller the distraction. For example, listening to the radio while driving would register a 1 in difficulty, while trying to solve a complex math problem while behind the wheel would score a 5. The most surprising result, however, may be that the subjects averaged a mental strain level of 4 when using the Siri electronic assistant. This level of distraction is more dangerous than speaking on a handheld cell phone while driving. In fact, three subjects “crashed” while in the simulator, and two of those incidents took place while using Siri. The upshot of the study is that while the auto industry has largely embraced voice-activated technology over the last few years and trumpeted it in an untold number of ads, it seems that a lot of work still needs to be done in order to make the systems as safe as possible. A press release issued by AAA announcing the release of the study quoted the organization’s president and CEO as saying voice control technology may have unintended adverse effects on driver safety. AAA is calling on developers to address factors that contribute to these distractions, and to make them no more taxing for drivers than listening to the radio.